Computer Account Application Forms and IT Incident Report Forms are now available in IT Service Management System (ITSM system). 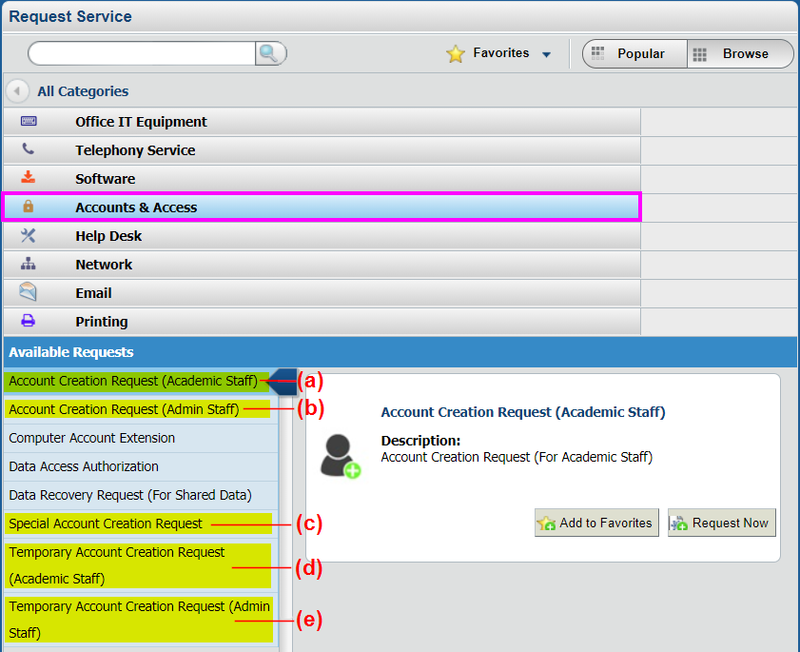 Staff can log in to the ITSM system to apply different types of computer accounts and report hardware/IT service problems online without the need to provide a physical forms. 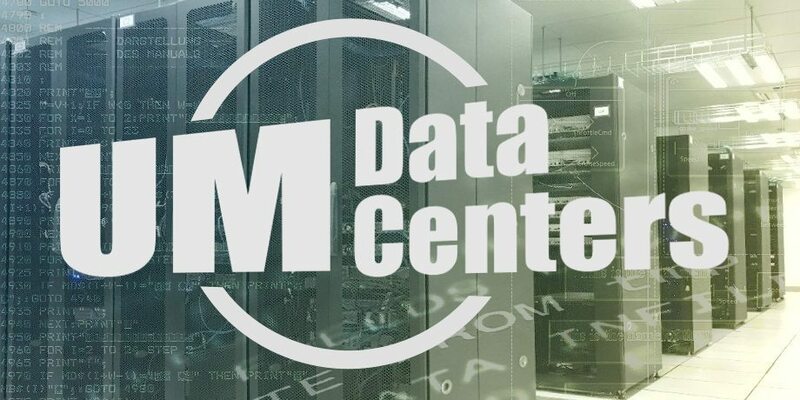 To submit the request, please go to ITSM system (https://itservice.umac.mo) and login with your UMPASS account and password. After login, click “Browse” on the web page to view all categories. c) Special Account – Account to facilitate the work of a department, a research group, or special office functions. For example, account for research project, programme, student trainee, shared mailbox email account, email group, etc. 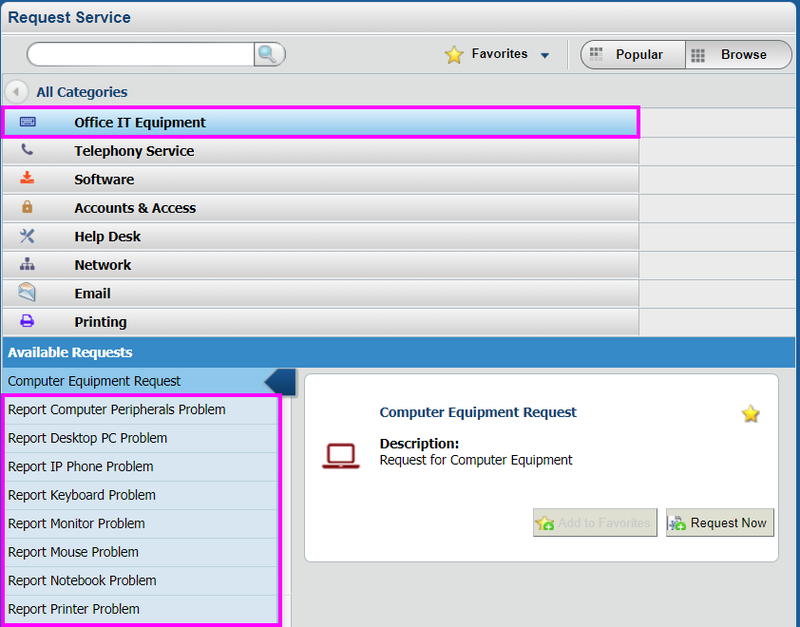 To report hardware/IT service problems, select the problem’s related category, for example Office IT Equipment. Choose the problem you want to report, click Request Now.